We just got back from a trip to central Florida — and I noticed that RV sales are huge in Florida. We saw RV sales lot after RV sales lot everywhere we went! This led me to think back regarding the article about RV garage house plans that I posted previously and that maybe — just maybe — there might be some RV garage homes in the area to accommodate these behemoth RVs that (mostly) retired folks are buying. There are plenty of RV retirement communities! Some have RV garages built in — or they have RV garage plans that you can look at. Others have an RV pad near the driveway. 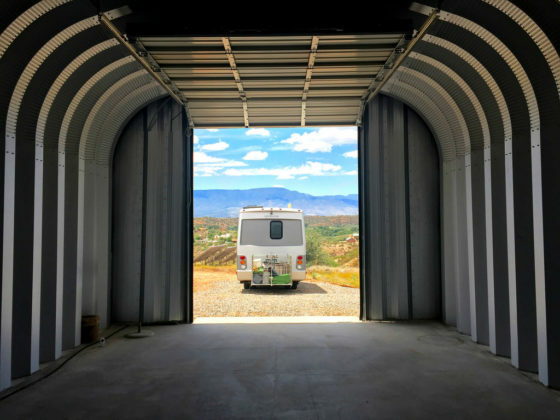 An RV community is an entire neighborhood with RV garages, carports, and at least one thing in common among everyone living there: traveling in an RV! When we finally arrived back at our villa, I hit the Mt. Olive Shores North website (one of the gated RV retirement communities in Central Florida). And there it was — in all its glory — a fantastic neighborhood community specifically marketed towards RVers with RV garage home plans to match. RV garage home communities have much to offer if you’ve been planning your retirement around hitting the road on a semi-permanent basis in your very own RV or motorhome. TIP: You might want to consider investing in RV retirement communities — because the baby boomers are on the way to Florida! 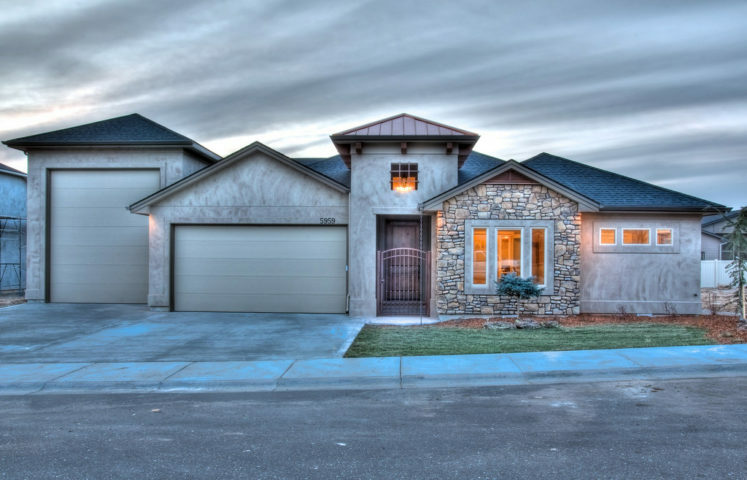 Arizona is another state that has a good number of RV communities with RV garage home plans. I thought that today’s high gas prices would have curtailed such luxury items as RVs and RV garage homes. But you wouldn’t know it if you were driving around the Orlando area! Here is one full-time RVer’s thoughts on filling up an RV with gas. We went coast-to-coast (Gulf Coast to Atlantic Coast) during our stay in Florida, and I was amazed at the sheer number of RV sales lots that existed in such a relatively small geographical area — and they have huge selections to choose from.